The Trump administration is about to start letting states require many Medicaid recipients to work for their benefits. But millions of Americans in the health care safety net program already have jobs. 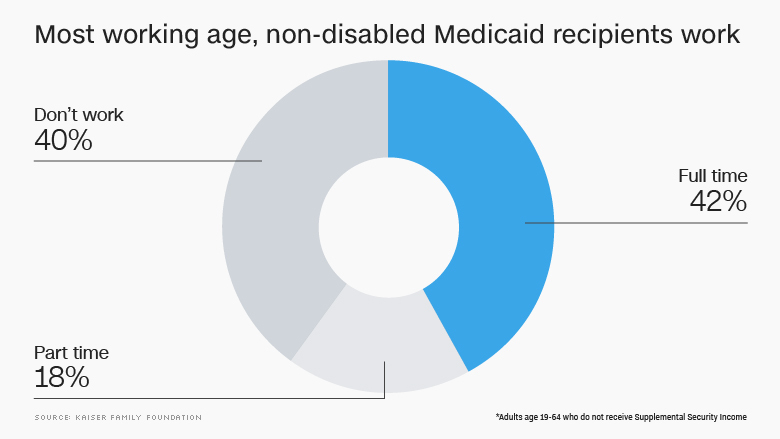 Some 60% of working age, non-disabled Medicaid enrollees are working, according to a new report from the Kaiser Family Foundation. That's about 15 million people. 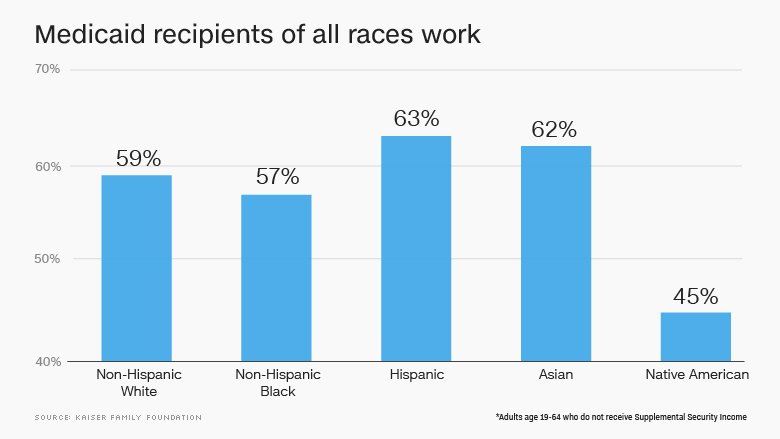 Plus, nearly eight in 10 recipients live in families with at least one worker. It's more common for Medicaid enrollees to hold jobs if they live in states that expanded Medicaid under Obamacare. Some 31 states, plus the District of Columbia, broadened their Medicaid programs to include adults earning up to roughly $16,600 a year. 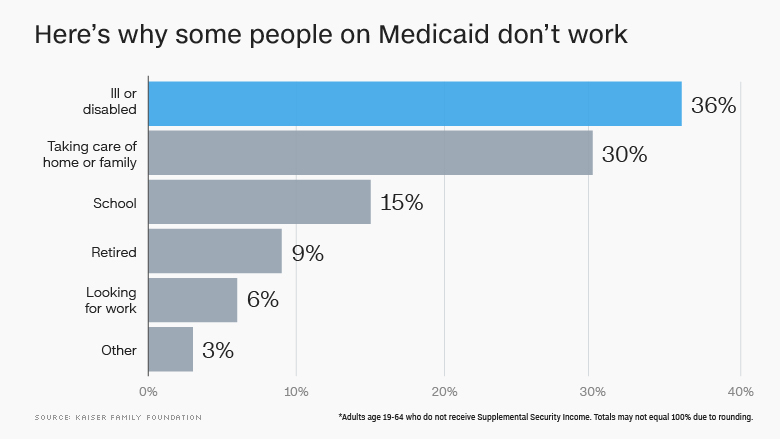 Just over one-fifth of Medicaid enrollees who hold part-time jobs cited economic factors, such as the inability to find full-time positions and weak business conditions, as the reason they aren't working more. More than a quarter of part-timers said they are in school or have family obligations. Some 65% of men on Medicaid are working, while 56% of women are employed. Enrollees who live in the South are less likely to hold jobs than those in other regions, though the rates were similar in rural and urban areas nationwide. Not surprisingly, the more education a recipient has, the more likely they are to be employed. About half of those who didn't finish high school have jobs, but nearly 70% of those with at least a bachelor's degree do. Medicaid recipients commonly work in agriculture, construction, leisure and hospitality and retail -- some 40% of enrollees are in these industries. About one-fifth work in the health services or education fields. 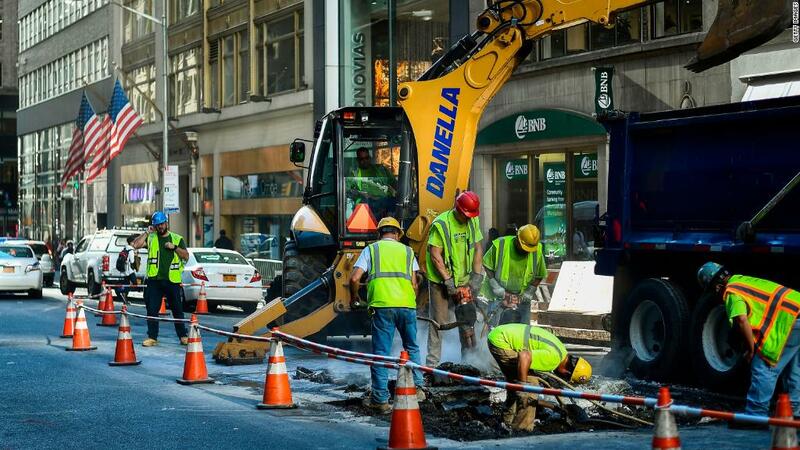 Many of these sectors often don't offer employees health insurance. Also, part-time workers usually don't qualify for workplace benefits. When it comes to those who aren't employed, most cite illness or family obligations as the reason why. Many people can have physical or mental health problems -- such as arthritis or asthma -- that don't meet the criteria for federal disability programs, but still interfere with their ability to work, Kaiser said. The Trump administration has signaled that it will allow states to impose work requirements on working-age, non-disabled adults. The Obama administration repeatedly rejected states' requests to do so, saying it wasn't consistent with Medicaid's purpose to provide access to medical care. At least nine states have submitted waivers to require these enrollees to participate in some type of community engagement, such as working, volunteering, going to school or entering a job training program, in order to qualify for benefits.